By the time the Macy’s flower show starts, I am usually in a state of trepidation after months of gardening withdrawal in a frozen floral environment. The flower show has always been a joyous promise of things to come, a horticultural heaven woven in and around the handbags and harberdashery of Macy’s ground floor. But this year it was the complete opposite. The Spring had exploded early with such color and energy that the city was already full of blossoms. It was a pleasure just to wander around and follow the bees. So I wondered if it was even worth walking the couple of blocks over to Macys. 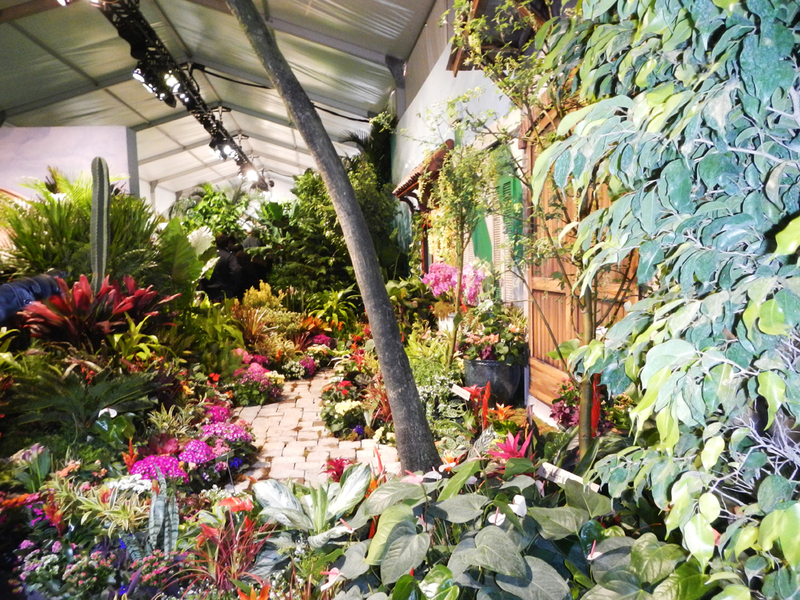 Added to that the renovations in the main entrance of the store which relegated the flower show to a large tent in Herald Square. What would Cundall do? No question, I had to go. The intense volume of plants on display equated with the speed of the queue pushing past and the stress of the tech guys trying to keep the tent’s atmosphere under control. What a feat. There were waterfalls, fully fruiting papaya trees, sculptures and swaths of colour. It really was very clever, an inspiration for gardening on my terrace. Not to mention, I realized as I stumbled out past Macy’s windows, what I should wear with the gloves…. 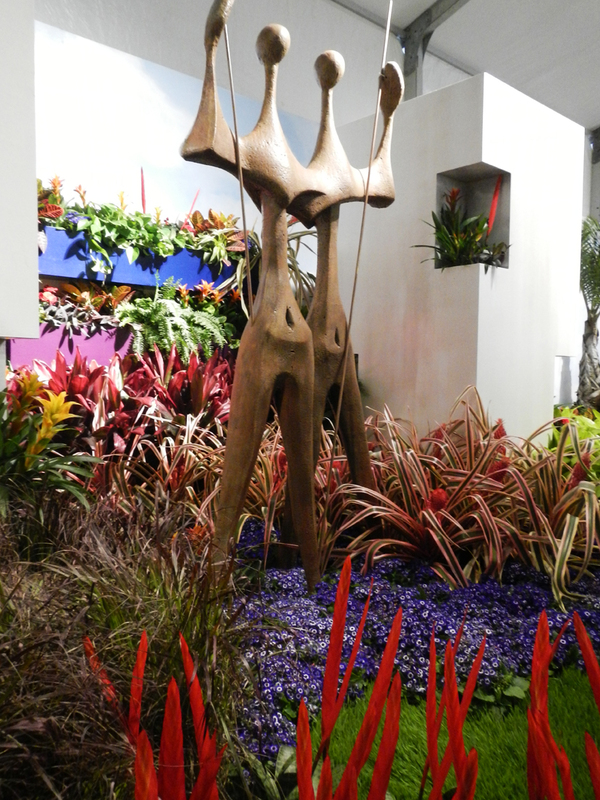 This entry was posted in events, gardens and tagged Macys flower show. Bookmark the permalink.